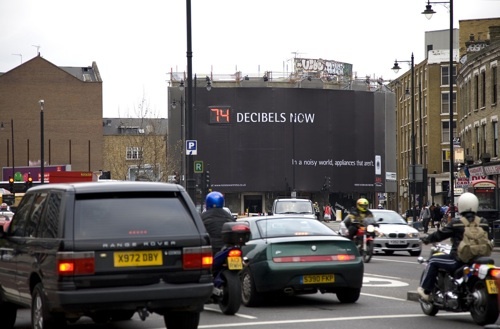 Matt Jones recently posted some video he shot of a AEG billboard that measures the decibel level of street noise on Old Street in Shoreditch, London. The “AEG Noise Awareness” campaign is a clever way to promote AGE’s silent laundry appliances. See the AEG Noise Awareness Blog for more coverage.